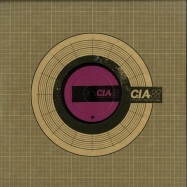 cia records is an imprint who has remained at the centre of drum & basses history, with esteemed producers total science creating it during the genre’s formative years in 1997. the forthcoming ep on cia, field’s ‘intention dub’, highlights the eclectic mix of artists who have joined the roster since its first release. featuring a variety of collaborative producers, the six-track ep exemplifies the talented intricacies of fields and his masterful song compositions. the names that run alongside fields stand out within their own right, with underground stalwarts mako, and mcleod, roller top dog break, frequent partner villem (who go under their pseudonym mute) and forren, who also makes an appearance. 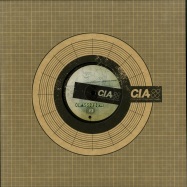 as a collective, they represent many of the artists who helped cia build their impressive back catalogue. the first track sees villem step up to remix false alarm by total science, quadrant & iris. flexing his technical prowess with this chest-shattering offering, villem teases sonorous atmospherics around sharp percussive hits, building to a medley of full impact subsonic weight and aggressive drum patterns that cut right through the mix. 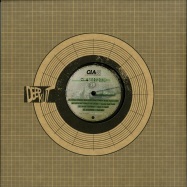 for his debut appearance on the label, critical impact teams up with vocal powerhouse jakes to deliver geeks and geez. critical impact combines deep, rumbling subs and resonant mid tones which go hand-in-hand with jakes raw vocal energy and no-nonsense lyricism, making this a sure-fire dancefloor heavy hitter for the masses. for the third track, total science drop what i need , a beautifully crafted composition filled with tranquil pads and articulate rolling drums serving as a solid backbone. reversed atmospherics and glistening pianos swell in and out of the track with a deep, warm sub to bring it all together. finally, arcatype s cascade is an immersive roller bursting with ethereal tones and snappy percussions, taking you on a journey of rolled out sub lines and mid-range stabs washed with subtle reverb and delay. classified v3 delivers an across-the-board, cutting-edge offering of their signature d&b blend. 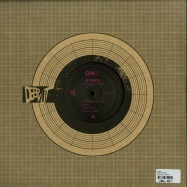 combining the raw energy of false alarm and geeks and geez alongside the deep overtones of what i need and cascade classified v3 is solid proof that c.i.a are always at the top of their game, rolling strong since 1996 with no sign of turning back. 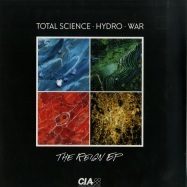 total science are back to grace their own imprint cia records, and this time they enlist the musical and technical prowess of fellow bristol associates hydro and war alongside themselves on the reign ep. made up of four killer slabs of fast paced, moving and deep drum & bass, the influence of each party is immediately obvious in each track. 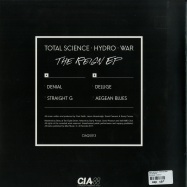 total science are infamous for their breaks and rave influences that have often been present in their music since they first started releasing in the early 1990’s. hydro has been releasing music since 2007, working with a slew of respected producers such as break, dlr, fd and halogenix amongst many others. he is infamous for his epic sample collection and the deep and deadly vibe that he brings to tracks. and the young french extraordinaire war has already shown he is a force to be reckoned with, consistently releasing music with a sublime depth and musicality that belies his age – and also a power and punch that consistently rips clubs to shreds. the reign ep brings the finest attributes of each of the parties to the table, and results in a well-rounded collection of music that offers something to a wide range of listeners. whether you want to lock them into a groove, tear the roof off the club, or get them thinking about what will come next in this world, the reign ep has it in spades. its a well-known fact that total science are massive winners – or weiners, depending which sausage factory you bump into them at. and here with their brand new turn around ep, theyre now putting that into vinyl format with some of their nearest and dearest fellow victors. comprised of four killer cuts that combine a raft of their influences, the title track turn around takes you back to the early 90s jungle sound. they combine once again with symmetry label boss and all round drum and bass badman break for big time winners, summoning the ghost of rave past. the music master calibre steps into the cia fray once again to remix the beautiful ts classic walk the same lines with riya, and they also combine with fellow bristol resident and technical wizard dlr on too close for comfort, taking you down a deep rabbit hole. total sciences turn around ep signals their intent for 2017 – consider this your first warning!